Many of our commercial and retail clients are looking for a single source vendor to manage all of their film needs. HDClear concentrates on graphics envisioned by architects and designers. Our skill sets allows us to be leaders in the film needs for high-end designer graphics. 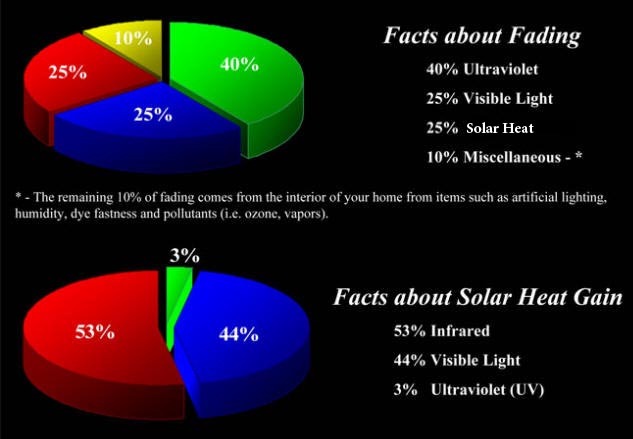 HDSolar utilizes this same skill set and is applied to managing solar film installations as well. Corporate offices are often located many miles or even states away, from their satellite offices. The sun affects each region differently with glare penetration, heat load and climate changes. Our solar service is designed to provide a trusted source for multi-property or oversized property management across the country. Franchises, retail chains, outlets, manufacturing facilities may be under one corporate umbrella. Each location has specific needs which much be met. These corporate umbrellas rarely have the time to fully explore, educate and decide upon a solar film application for all the satellite locations. Film manufactures have films which work better in different regions. HDSolar coordinates the knowledge base, the best film suggestions and most practical applications. February 2015, in Allentown, Pennsylvania, a boy’s jacket caught on fire from reflected light passing through untreated glass and bouncing of a mirror. The boy was standing at a counter picking up his purchase and the jacket started smoking. Luckily, it was caught in time and everyone was safe. March 2015, in Memphis, Tennessee, plastic chairs were warping and melting from the sun’s energy. People would think the furniture was weak or old, not true…they were brand new. 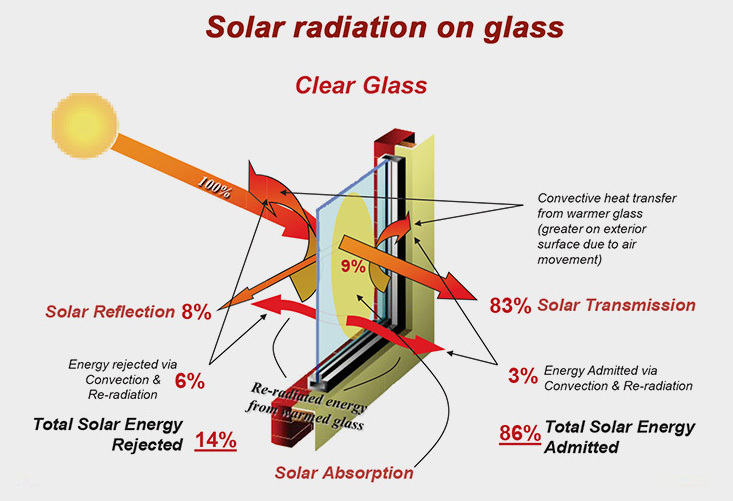 In both cases, we installed a spectrally selective solar film which reduced the glare by 50%, the UV by 99% and the Infra-Red by 97%. The client expects to see a payback on energy savings between $300 and $500.00 a year. Within a few short years the film will pay for itself by pushing back on summer heat and trapping winter heat. The store’s products and retail graphics can still be seen through the film! Yes, we can promote dark and shiny films but honestly, the next generation of spectrally selective, ceramic and metallized films offer a great blend of sun protection and visibility. For the budget conscious, the films do carry a higher cost point than the old generation films but both are available and the compromise between expectation and budget is easily met. We promote many manufactures with a tried and true track record of service, warranties and product quality. HDSolar manages projects by using the same installation companies which install our custom printed films and acrylics. Board Members and company Officers often discuss what investments cost, Future Value and other tedious financial matters. Solar film’s speedy ROI means these meetings show a positive adherence to Green and Sustainability Measures. 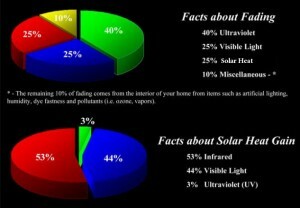 The bottom line is affected in a positive way with HDSolar installations reducing the energy footprint. Our clients are used to thinking across multiple business units. From facilities, to store design, to asset managers, solar film crosses departments and our practices ensure consistent communication. We are professionally persistent to help these clients keep (and stay ahead of) project schedules for multiple locations opening simultaneously across the country. HDSolar is the preferred vendor to ensure quality products are installed, installations are held accountable and a high level of customer service is maintained. We make projects easy because we offer all three. Filtered light and creating warm, inviting spaces customers and team members ‘want’ to stay in. Typical ROI between 2-5 years with 10-15 year Warranties. Film Warranties –Are backed by national manufactures like 3M, Suntek, Vista, Madico, Panorama, Llumar, Solar Gard and many others. These warranties often times assume the existing glass warranties. Special considerations occur rarely. When they do, there is complete transparency and alternate options like HDBlind or HDClear can be explored. Specify or Source – We have installed miles of film from each major film manufacturer. When you need a customized solution just specify HDSolar with the requirements and expectations. Film choices and manufactures can be made in the field when heat and glare issues are fully realized.